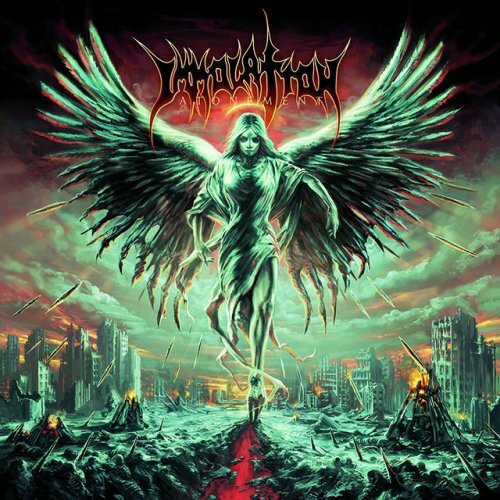 ThunderGod Zine: Immolation libera vídeo oficial de "Atonement"
Immolation libera vídeo oficial de "Atonement"
"Atonement" foi gravado no Millbrook Sound Studios em Millbrook, Nova York, com o produtor de longa data Paul Orofino, e mixado e masterizado mais uma vez por Zack Ohren. A capa foi criada pelo renomado artista Pär Olofsson, juntamente com obras de arte adicionais de Zbigniew Bielak. Tracklist de "Atonement": "The Distorting Light", "When The Jackals Come", "Fostering The Divide", "Rise The Heretics", "Thrown To The Fire", "Destructive Currents", "Lower", "Atonement", "Above All", "The Power Of Gods", "Epiphany" e "Immolation" (Bonus Track - CD only, re-recorded).